America's #1 Buyer of damaged vehicles at CarCashDepot. Car Cash Depot will buy your wrecked, totaled, damaged or non-running car, truck or SUV today. Car Cash Depot has been buying wrecked and damaged vehicles for over 30 years. We will pay you the same day we pick up your wrecked or damaged vehicle. Call us now so one of our honest and friendly buying agents can purchase your foreign vehicle today! Give us a call and speak to one of our friendly buyers or submit information online about your vehicle. We agree on a price then you provide us with a copy of your Title, Drivers License, and pick up address. Our dispatch office will schedule a pick up for you ASAP. GOT A JUNK OR WRECKED CAR? Call (888) 326-1660 to Sell Your Junk Car Now. Car Cash Depot will buy your wrecked, totaled, damaged or non-running car, truck or SUV today. Car Cash Depot has been buying wrecked, damaged, or mechanical problem vehicles for over 30 years. 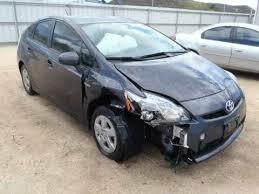 We will pay you the same day we pick up your wrecked or damaged vehicle. Call us now so one of our honest and friendly buying agents can purchase your foreign vehicle today! We are the nations #1 buyer of damaged foreign vehicles. Sell your damaged car now! Our buyers have over 100 years of combined experience in the automobile industry. We have 400 offices nationwide to pick up your vehicle. There when and where you need us. We have locations throughout the United States with over 400 offices. There are a few remote areas of the United States that we do not have coverage. 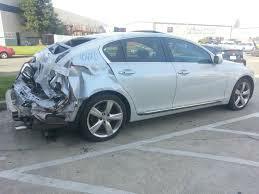 Damaged Imports makes selling your damaged foreign automobile easy and profitable. Just call us and we will provide you with a estimate and pay you when we arrive to pickup your vehicle. Easy to schedule a time and location. Put the money to good use.